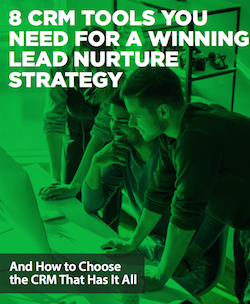 Does your business have an effective lead nurturing strategy? Before you answer that, keep in mind that a good strategy is different than having a few good sequences in place. This is not an area you want to overlook. The more you develop and test your lead nurturing strategy, the more sales you will enjoy - there is a direct correlation between the two. It should be no surprise that CRM tools are one of the secrets to doing this. To learn more about this, read our guide on the 8 CRM Tools You Need for a Winning Lead Nurture Strategy.